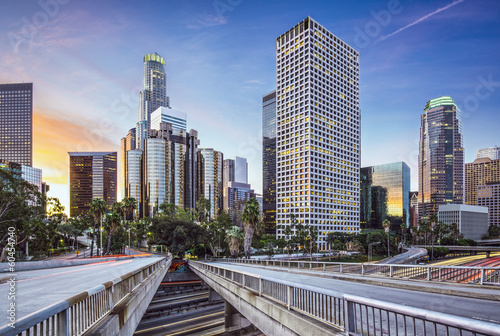 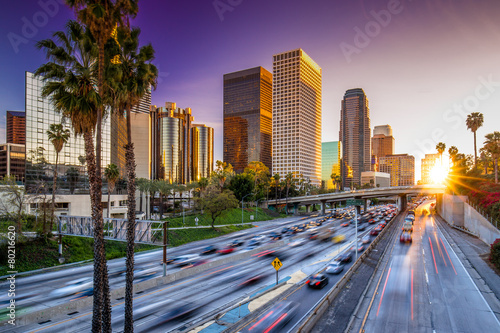 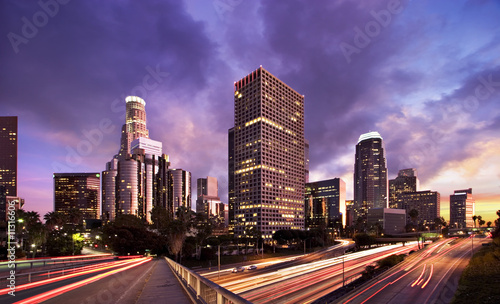 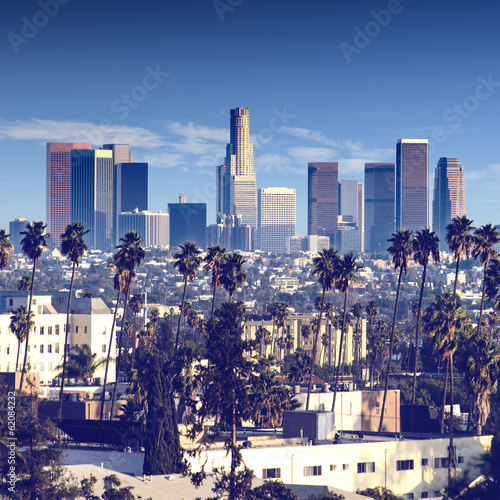 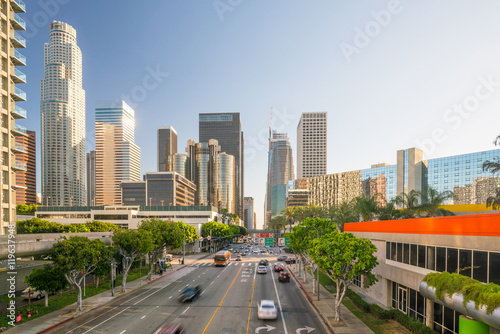 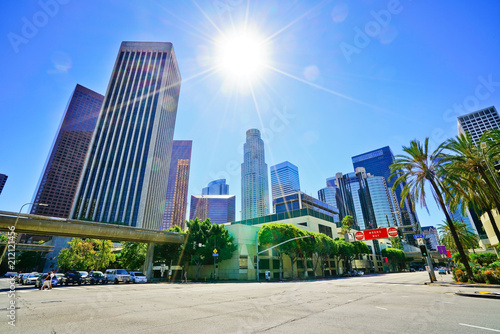 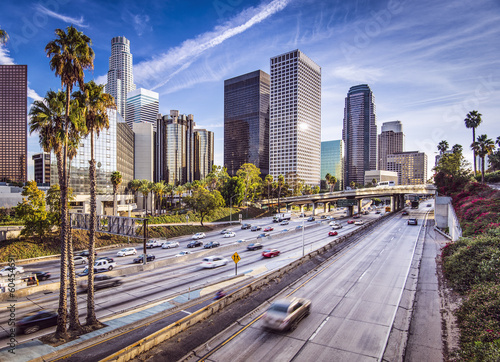 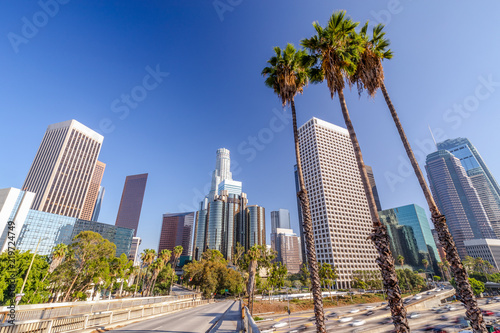 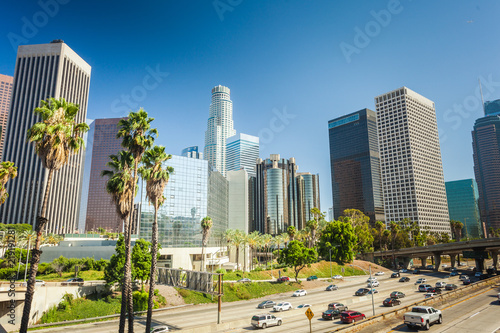 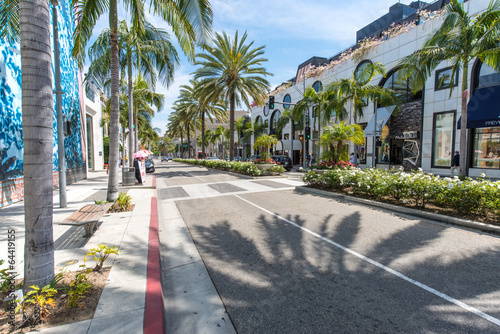 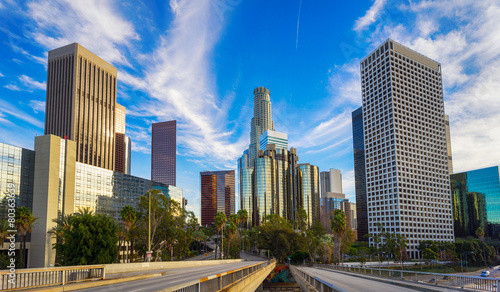 View of the office buildings and main roads in the financial district in Los Angeles on a sunny day. 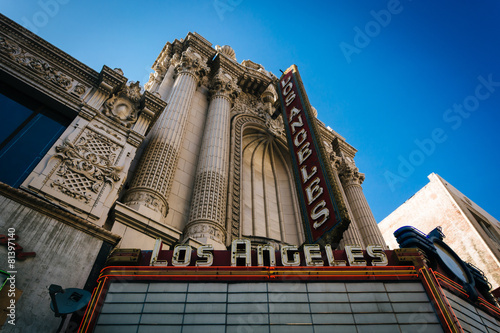 The Los Angeles Theater, in downtown Los Angeles, California. 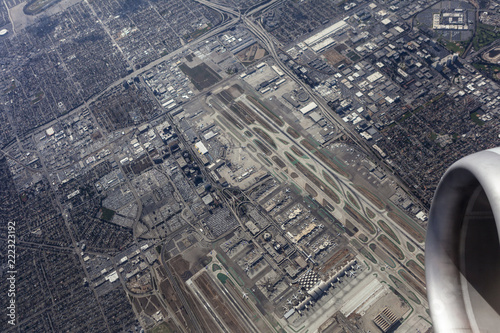 Jet airplane engine circling directly above LAX runways in Los Angeles, California. 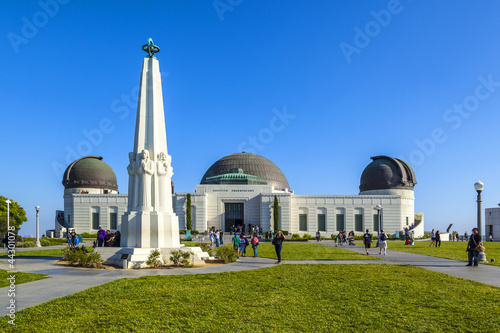 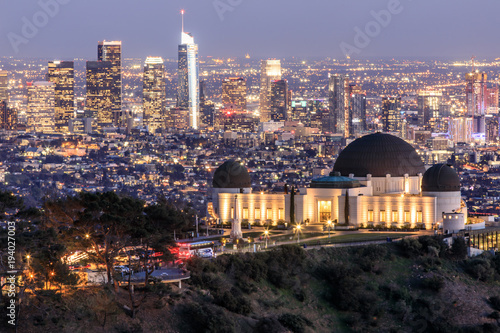 Griffith Observatory Park with Los Angeles Skyline at Dusk. 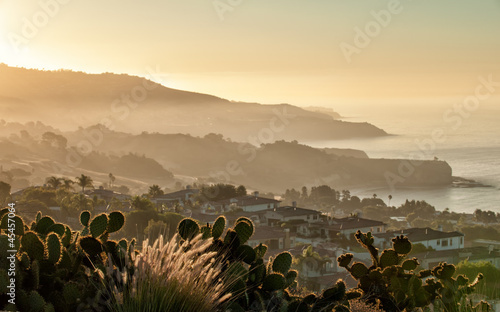 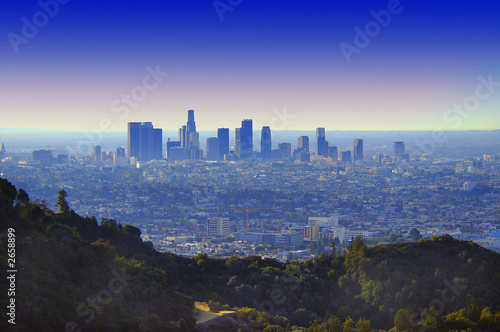 Twilight views of the famous monument and downtown from Santa Monica Eastern Mountains. 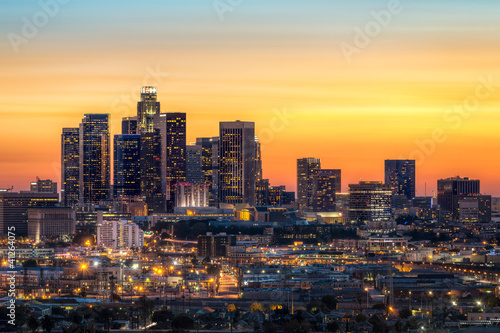 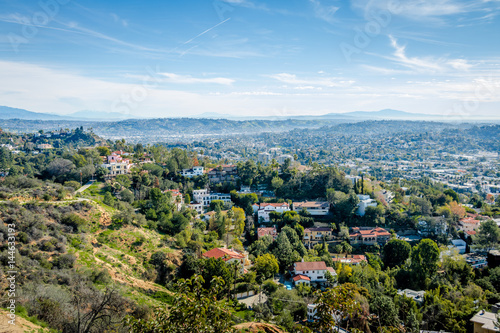 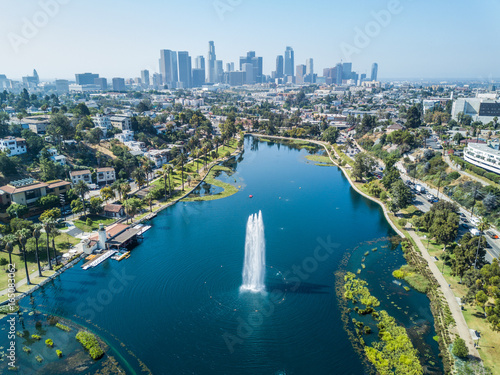 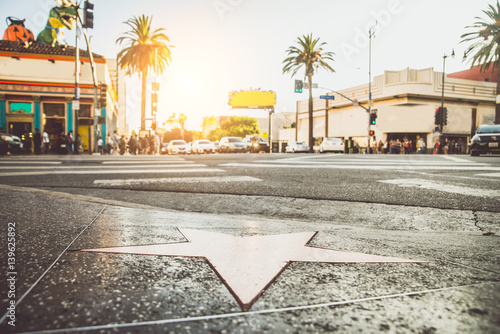 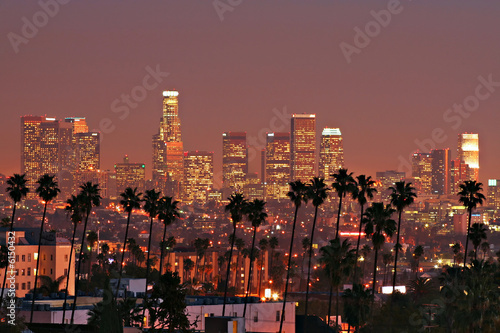 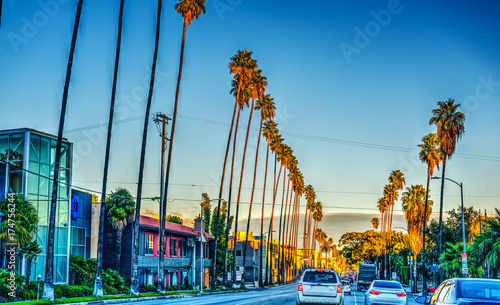 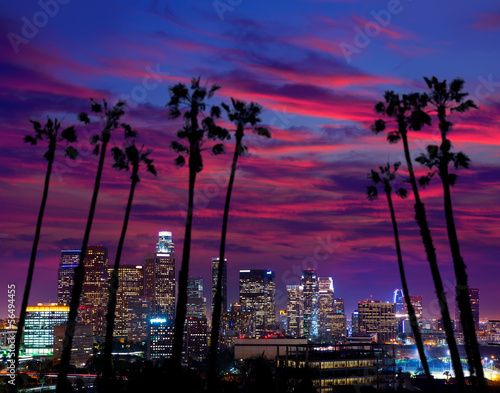 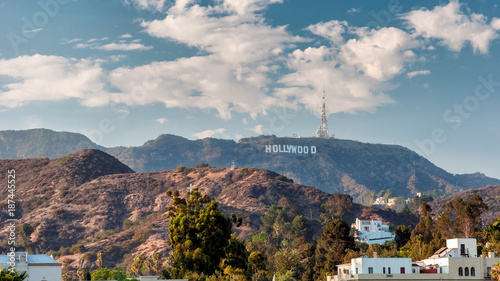 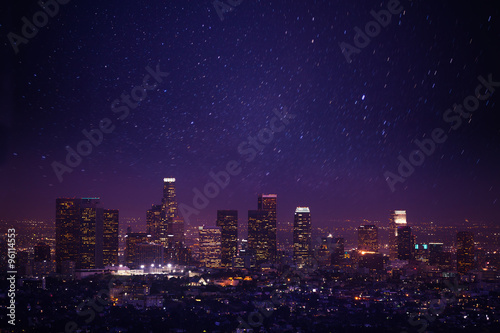 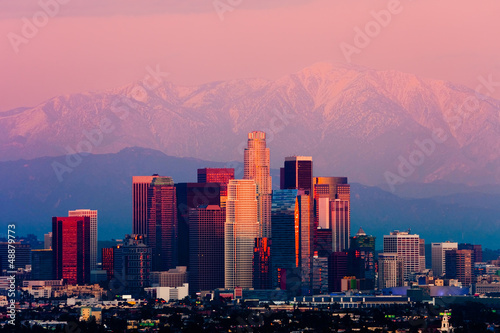 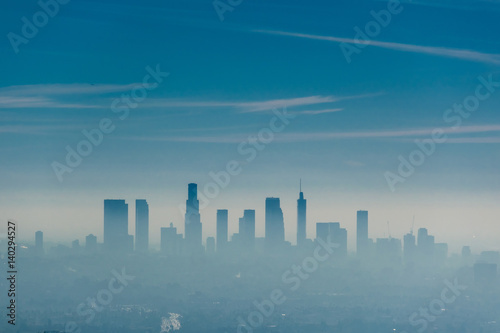 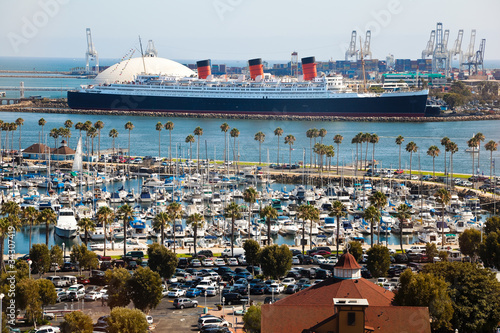 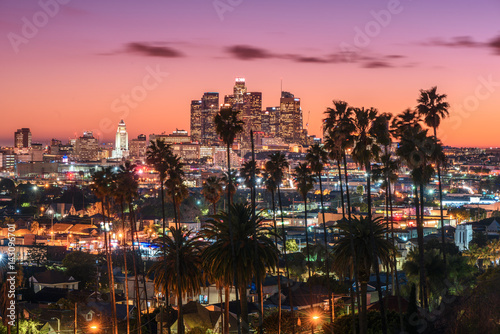 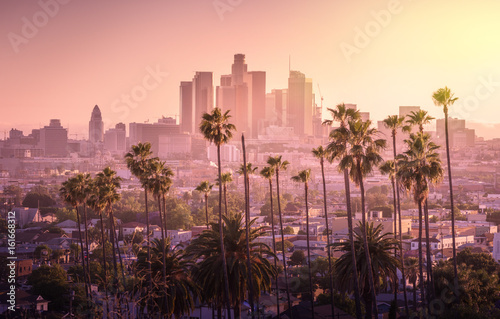 Los Angeles, California, USA. 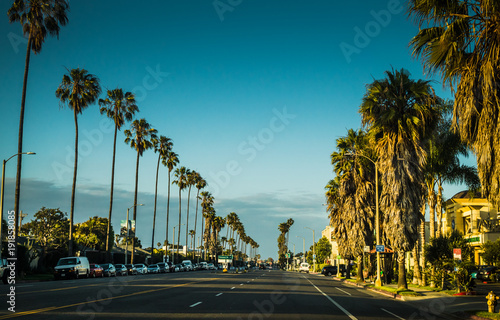 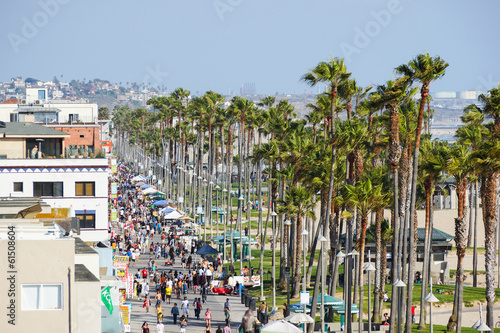 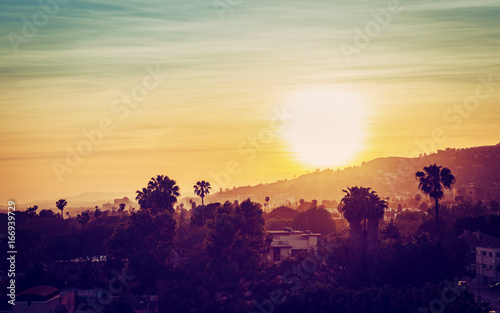 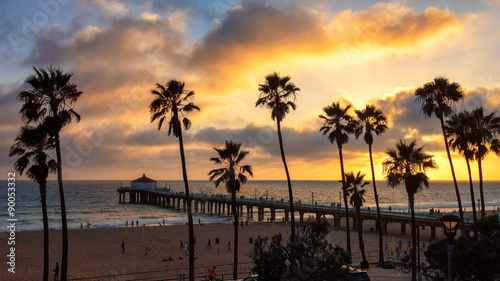 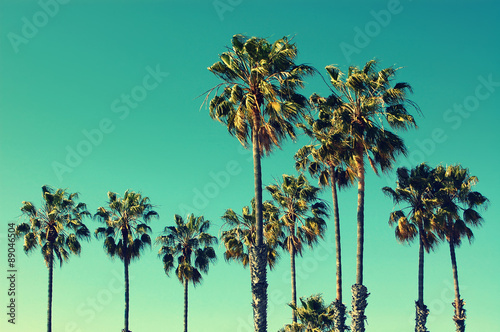 Palm trees over the Manhattan Beach and Pier on sunset in Los Angeles.